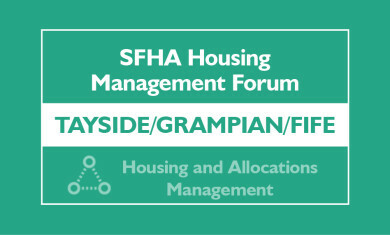 SFHA shall mean the Scottish Federation of Housing Associations. The SFHA recognises that your privacy is important to you. The information you submit to the SFHA will be kept confidential and secure once received. The information will be processed by the SFHA or on its behalf under strictly regulated conditions in accordance with the provisions of the Data Protection laws and General Data Protection Regulation. The SFHA strives to maintain the highest standards of decency, fairness and integrity in all our operations. Likewise, we are dedicated to protecting our customers', consumers' and online visitors' privacy on our website. Any personal information provided by you or obtained from other sources by the SFHA will only be used for the purposes outlined in our Fair Processing Notice which is provided to you at the outset of us collecting and processing your personal information. Where we require your consent to process your personal information, we shall seek to obtain written consent from you. We may from time to time disclose personal information to third parties, and details of when we may do so is outlined within the Fair Processing Notice. In the event that we contract with a third party to process personal information on our behalf, we will require to enter in to a contract with them to regulate that processing. The SFHA will take reasonable steps to create an accurate record of any personal data you have submitted. However, the SFHA does not assume responsibility for confirming the ongoing accuracy of your personal data. You can update your personal data by contacting us on 0141 332 8113. Please note that it can take up to five working days for the changes to come into effect. If you wish to change your mailing preferences or opt-out of specific marketing communications sent from the SFHA you may notify us by clicking here and completing the notification form. Alternatively you may contact us on 0141 332 8113. It may take up to five working days for the changes to come into effect. Please note that this will not alter your current email subscription preferences. By disclosing personal information to the SFHA you consent to the collection, storage and processing of information in the manner described in this policy. 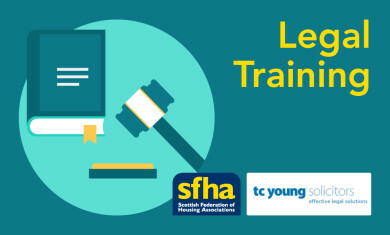 Please note that your continued use of the SFHA website and/or products and services constitutes your agreement to any changes to this policy and the website terms and conditions of use.